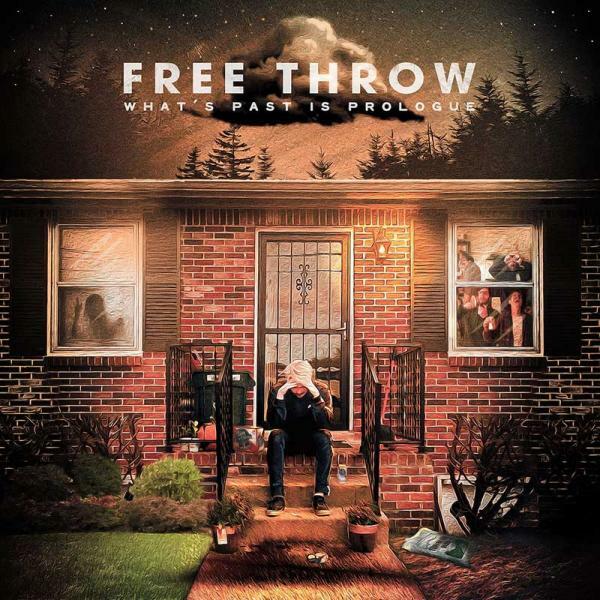 In several ways, What’s Past Is Prologue seems like just another Free Throw record. Their debut and sophomore projects, Those Days Are Gone and Bear Your Mind, explore emotions people are often ashamed to admit to, like jealousy and suicidal ideation. While this album is still just as emotionally rigorous, if not more, it represents a natural progression for the band. The guitar riffs are more textured—delicate at certain points, but intricate during many others. Several tracks crawl from hushed to grandiose instrumentals, with vocals that work seamlessly in tandem. Lead vocalist Cory Castro still yells, but it’s less guttural and overwhelming. Anyone can scream, but only some can do so smoothly. Free Throw’s lyrics have often been searingly straightforward, but they’ve shifted towards being more symbolic. The lines are, at times, puzzlingly existential. This record delves into a perspective that many emo bands leave untouched—surmounting struggle. In the same way that lyrics about feeling unwell can provide solace, hearing about recovery can have a similar effect. It’s tricky to do so without cultivating a corny, cheerleader-type positivity. Free Throw avoids this by balancing upbeat moments with realistic portrayals of mental illnesses. There are dark, jarring moments doled out throughout the record. Castro disassociates on “The Corner’s Dilemma” and states that “open doors lead to hallways that never end” on “Stay out of the Basement.” Truthfully, a mental illness will always lurk in spite of any amount of self care. They acknowledge that even when life is garbage, there are glimmers within that garbage, and that life can still be worthwhile even if it’s arduous. The album’s most uplifting piece is the title track. In it, Castro expresses feeling an urge to progress, which is not an easy realization to make. The first step to improving is, well, accepting that you need to improve. He closes the song by discarding a pack of cigarettes, which is a full circle moment, as the album’s opening verse is about relapsing after abstaining from cigarettes for four years. This record delves into vices, wrestling with the question of “what do you do when the things you like are unhealthy?” Substance abuse is a recurring theme—it’s a morning ritual “drinking for breakfast,” it represents the fear that ambition is foolish “chasing my pipe dreams with shots and a whole lot of beer.” But more than anything, it’s a coping mechanism “self medication for short term elation.” The latter verse cuts the deepest; it’s the most self aware. There is a palpable vulnerability found in these lines. What’s Past Is Prologue doesn’t promise that healing is linear. Or easy. Or fast. But it does show that healing is possible.